This is the perfect seasoning for all you seafood lovers! We've taken Low Country Boil flavor to a new height! 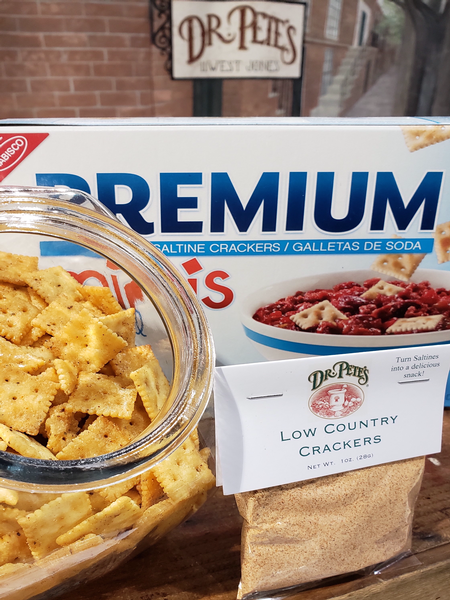 Just combine our Low Country Cracker Mix packet, an 11 oz box of mini saltines or oyster crackers, and a little oil in a gallon zip lock. Turn a few times and let the mix be absorbed for the BEST tasting cracker snack around. It's like Low Country Boil on a cracker...minus the seafood, of course!